One-click purchases, Alexa, and now AI-powered cashier-less convenience stores: Amazon has long been setting standards that others rush to compete with. 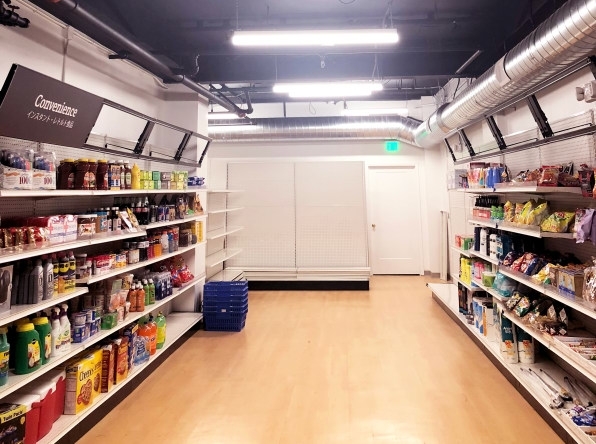 So it’s no wonder that the Amazon Go convenience store, which uses cameras and image recognition to track and ring up all the items people take off shelves, has been met with a frenzy of startup rivals. Now one of them, Standard Cognition, has gone beyond cool demos and announced a deal to deploy the technology in stores with a major partner. The deal is with Paltac Corporation, the biggest supplier to drugstore-style shops in Japan. It begins modestly, with a single pilot store in the city of Sendai, about four hours north of Tokyo, set to open in early 2019. Then it ramps up fast: The plan is to outfit over 3,000 stores in time for the Tokyo Olympics in July 2020. “The government is pushing its stores and its companies to put their best digital foot forward for the Olympics,” says Michael Suswal, Standard Cognition’s COO and one of the Bay Area startup’s seven cofounders. Partnering with Paltac, which supplies most of Japan’s small retail industry, allows Standard Cognition to reach a diverse market. “Drugstores are a fractured ecosystem in Japan . . . The biggest chains have like 2,000 locations and most of the chains are in the hundreds,” says Suswal. The startup uses cameras to track what people pick up, and it automatically bills them as they leave the store. Like Amazon Go and other rivals, Standard Cognition can also see if people put an item back on the shelf, and will take it off the bill. The system uses only ceiling-mounted cameras, with no sensors on the shelves, which cuts complexity, according to Suswal. “In a store the size of Amazon Go, it would use about 25 cameras,” he says. The inaugural Amazon Go store in Seattle, measuring about 1,800 square feet, requires hundreds of camera arrays, according to the New York Times. It also uses weight sensors on its shelves. Standard Cognition, which has raised $11.2 million to date, is also working with other, unnamed retailers, in stores ranging from 150 to 54,000 square feet, Suswal says. The average Whole Foods covers about 40,000 square feet. The startup’s rivals have also been talking with unnamed retailers or have teased deals they cannot yet reveal. One other computer-vision-based company, New Zealand’s Imagr, has revealed a pilot project with grocery chain Foodstuffs in a store outside Auckland. But Imagr’s system is a bit different. It mounts the image-recognition cameras directly on the shopping cart to track everything that goes in, or out. Other startups, including Accel Robotics and Caper Lab, are using a similar system, but neither have announced retail deployments. 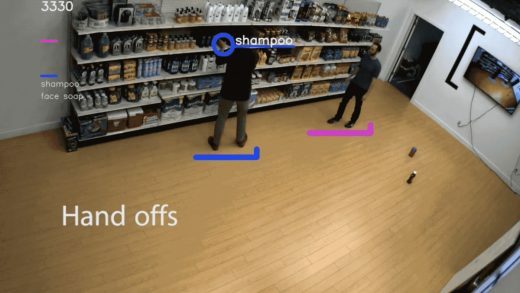 Standard Cognition promises to scan the whole store, tracking items whether they go in the cart, into baskets, into hands, or into pockets. As far as Fast Company can determine, none of its camera-only rivals—including AiFi, Aipoly, and Trigo Vision—have announced deals to put their tech in retail stores yet. “I don’t think we’ve seen the last of them,” says IDC retail analyst Bob Eastman about such startups. The wildcard, or perhaps wild elephant, in all this is Microsoft. In June, Reuters reported that the tech titan is developing its own automated store technology—another potential challenge to the startups. Microsoft, which recently announced a partnership with Walmart, has not commented on the report. In addition to Paltac, Standard Cognition has deals with three other large companies that it won’t yet name: a second in Japan, one in the US, and one in the UK. The appetite for this technology in Japan is not surprising, says Andrew Murphy, managing partner at Loup Ventures. “There’s more convenience stores per capita, and they’re more familiar buying destinations in Japan,” he says. The country is also facing a labor shortage as its population ages and shrinks. So automation is less a way to put checkers out of jobs than to replace jobs that humans can’t fill. Loup has investigated almost all the players in the fully automated checkout space, says Murphy, but it hasn’t invested in any yet. Still, the venture capital firm sounds bullish for the long term, forecasting that automation could take over 35 percent of retail, including all convenience stores, in the next 20 to 30 years.